What do you do when your picture software decides that it needs an update and you can’t download the pictures from your camera? You dig back into your archives. Yesterday I wrote about upcoming trips to China and South Africa. Because of this I have been thinking of another trip that I took at the end of 2001. Shortly after returning from South Africa I took a trip to Shanghai and Beijing. This year I will visit Shanghai and Johannesburg in reverse order. Since I have been thinking of these trips I will share a few pictures from the Forbidden City in Beijing. 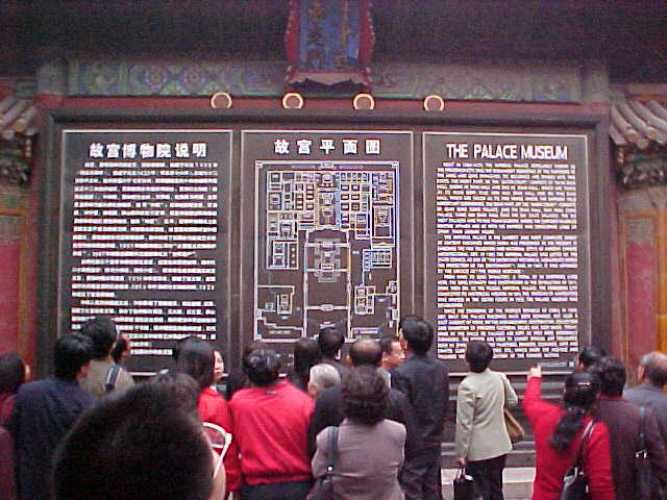 Here is the big sign about the Forbidden City and The Palace Museum. This was at the entrance and at that time the weather was just cold and overcast. The palace complex in Beijing is commonly called The Forbidden City. This comes from the fact that no one could enter or leave the complex without the permission of the emperor. There are many long passageways like this throughout the complex with red walls on both sides. The weather soon started to turn and it started to sprinkle. Umbrellas started to appear and it became dark and gloomy. Here you can see one of the grand stairways in the complex. 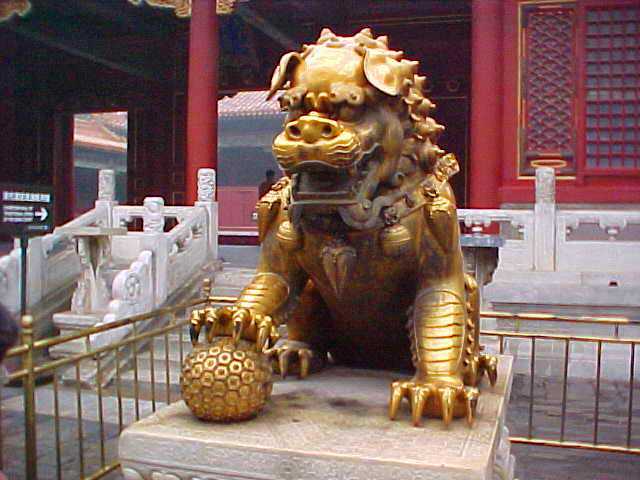 Here is a large gilded lion that is in front of one of the pavilions. There were so many cool sculptures and carvings in the complex. It was fun to imagine what it would have been like in the Ming dynasty in the 1600’s. 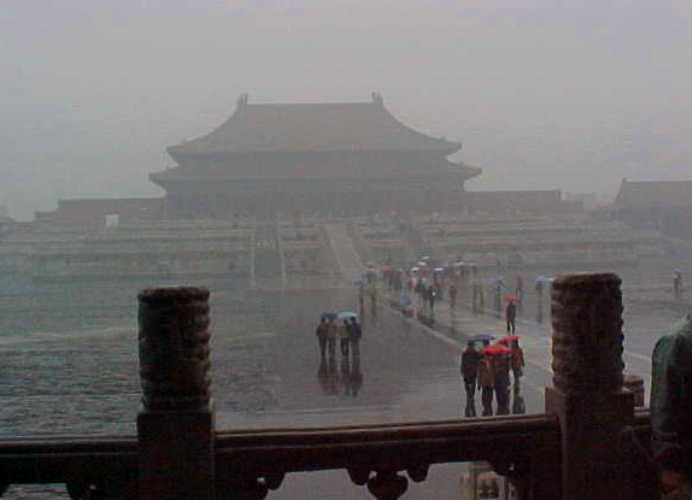 By the time that we left the Forbidden City the weather had deteriorated and it was hard to keep dry. It was then time to get inside and visit museums. There are some good museums in Beijing. 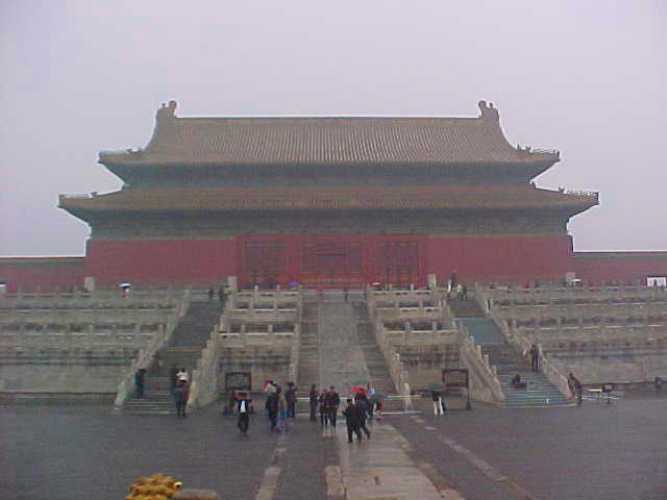 Someday I want to again go to Beijing and visit the Forbidden City. For now I have some good memories. 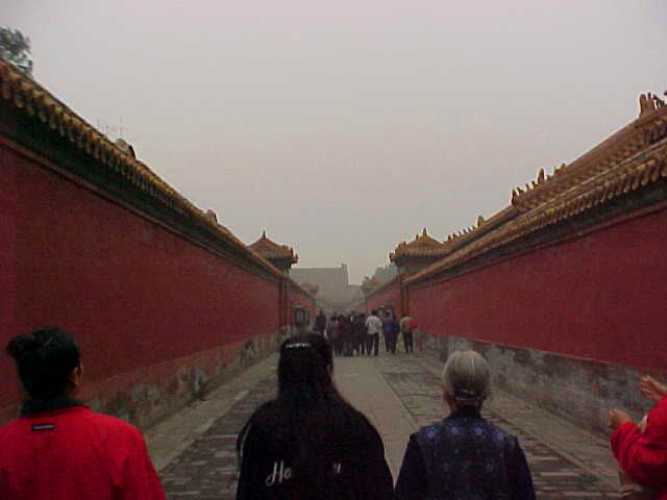 This entry was posted in China, Culture, History, Memories, Travel and tagged Beijing, Early Digital Pictures, Forbidden City, Palace Museum, Rainy Day. Bookmark the permalink.